for the corporate & consumers that were looking for a unique visual aspect to add to their business recognition. Gary uses programs such as Photoshop, Illustrator & CorelDraw plus many more to achieve his finished presentations. Contact Gary to create a one of a kind art presentation, for your business or personal use, then have him print it on business cards, letterheads, envelopes, decals, banners or anything else that you can think of. 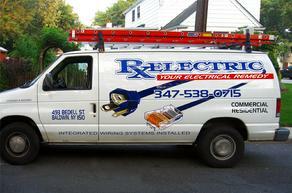 Gary designed the RX business cards to coincide with the lettering job he had already completed on the company van. The business cards & van are easily recognized. Uniformity in business is good advertising. The top card was chosen & then Gary printed them. Gary suggested that he could design LETTERHEADS & ENVELOPES to correspond with the business cards & van lettering. "It gives a business professionalism & personality"
The samples on the left were submitted for review. The chosen ones were then printed. Each card's art, has a unique style to its own business & is printed on high quality heavy gauge card stock. 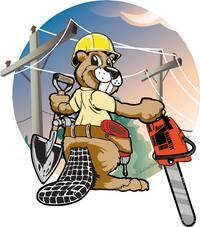 When Gary is contracted to create a LOGO for a company, he usuaslly does more than he is asked to do. To the right & below are the type of sample presentations that Gary created for these two companies. As you can see most designs are radically different from the other. Being an artist, there are times that Gary is asked to create a drawing that is not in the realm of what he is used to doing. Sometimes Gary likes an artistic challenge. Mr. Manning of the Autoseum Society asked if Gary would draw a car crashing through the front glass of a modern type of building. This is his own vision. After many discussions, Gary's has produced his first architectural style drawing that he has ever created. 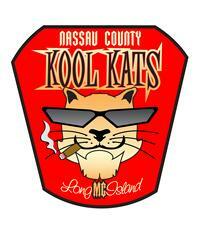 It has been presented to the Nassau County Board & is waiting for approval. 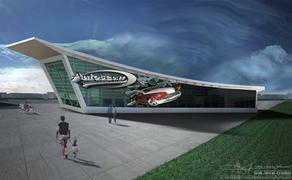 If it passes, Nassau County would have a new automotive museum. "It sure would be something if it came to fruition." Below are more artictic achievements.